But nooo. There'd been an accident on the M42, so it took 2.5 hours to go about 8 miles. Then we hit rush hour around Nottingham, and at some point stopped for food too, so eventually reached our Travelodge (yes, really) in Gateshead at something like half 9. urgh, long journey. On Saturday morning we met up the rest of CCC in Hexham, who seemed to be suffering various levels of hangover, but had not frozen to death in their tents as it had been a fairly warm night. typical! Then it was time for the Tyne. The North Tyne, to be precise, from Barrasford to the campsite in Hexham. This section involves paddling past bits of Hadrian's Wall - proof of quite far North we were! About a million boats on the water, of all varieties (plastic kayaks, ww racers, canoes and even the odd raft). Warden's Gorge in particular - this rapid is quite hyped up: you can't get out and inspect it, you can't portage it, don't take novices down it, blah blah etc. Not actually all that gnarly - the majority of our group made it down no problems, then sat at the bottom watching carnage from other groups (and playing on the nice surf wave there, whilst dodging empty kayaks, swimmers and swamped open boats). After that, there was fish and chips, and then fireworks! 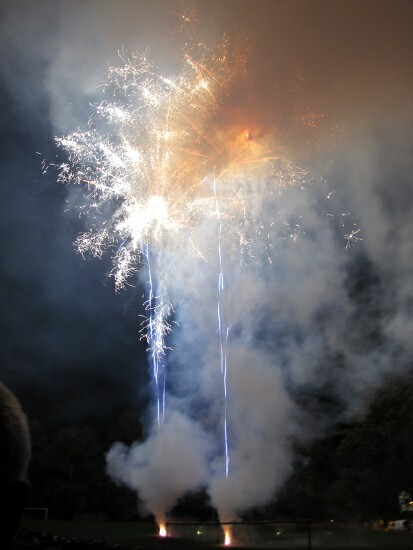 Properly decent loud fireworks, and no attempts to put them to crappy music. Excellent! The final part of Saturday's excitement was the ceilidh. I've never been to one before, and it's many years since I did country dancing in primary school, so I wasn't necessarily very good at it... but so much fun, if chaotic - at one point I was pretty much just being used as a battering ram/human shield, argh. Back to the tents, where I slept very well without feeling at all cold Hooray for thermals, cowsuit, and sleeping bag (and the general shared warmth benefits of having other people in the tent). Outside was somewhat less warm.. in fact, when we got up the tent was nicely iced over. brrr! Having packed the frozen tents up, we headed to the Tees. 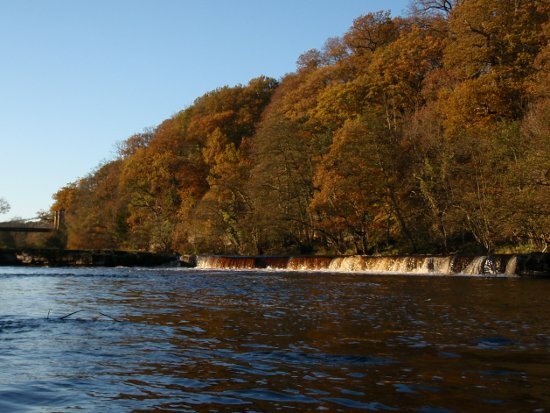 Some ran HF-LF, then we all met up at Barnard Castle to paddle down to Winston Bridge. I really enjoyed the river too - a little more water might have been nice, as the end section in particular was a bit of a scrape. Not swimming on Abbey Rapids would also have been nice... And spotting Whorlton Lido falls in the distance it somehow looked massive and terrifying...? actually not the case, so not quite sure what went on in my head there.. Tea and flapjacks were dispensed at the get out as we got changed, then we said our goodbyes and started the drive home. Thankfully no traffic jams this time - so with a stop for some uninspiring service station food, and another cup of tea, I was home just after 10pm.